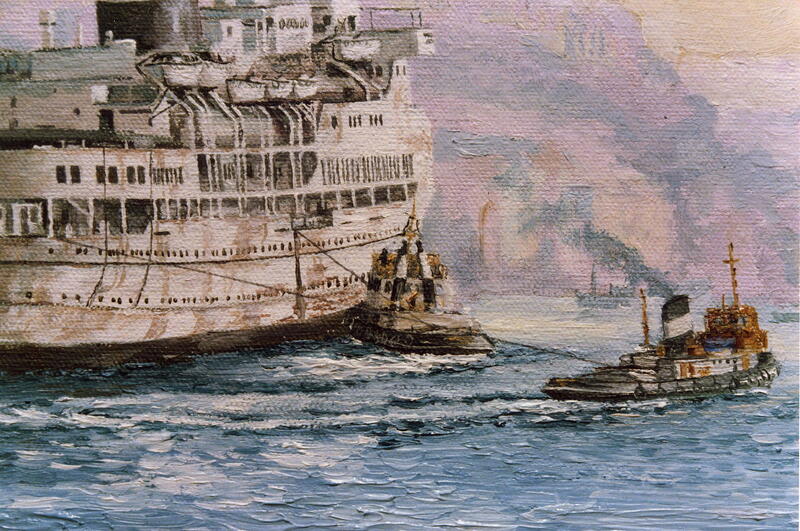 “Uganda” ending her final assignment which was as hospital ship during the Falklands war. Uganda at Falmouth , Cornwall, Sold. 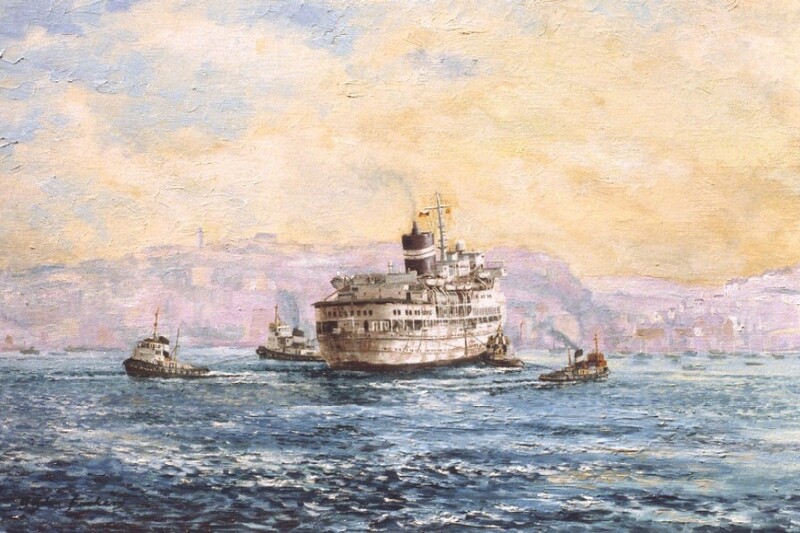 “Uganda” was the last ship of what was at one time the largest merchant ship fleet in the world, to carry ‘British India’ fleet colours, her final assignment was as hospital ship during the Falklands war. 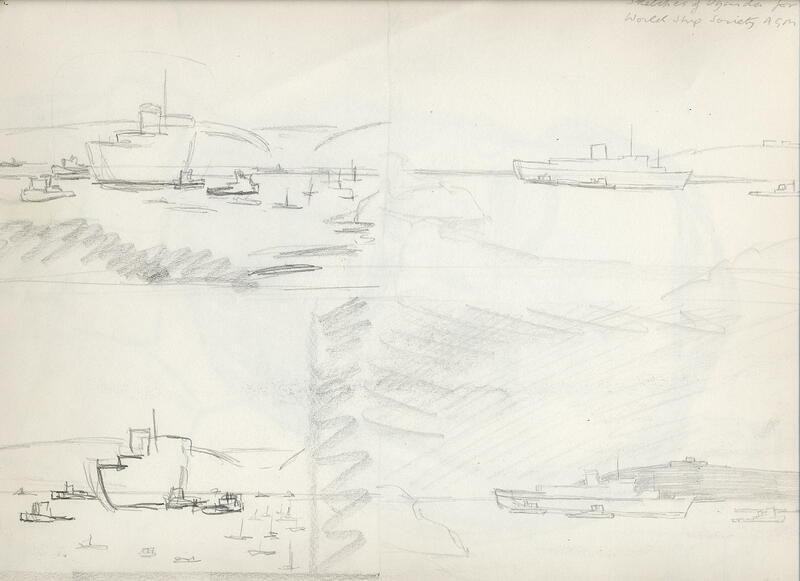 The Artist knows Falmouth very well and is well known there having lived and sailed there, worked as a press photographer (Packet Newspaper group), studied at Fal Tech and was head hunted into the Marine industry; a fun part of his miss-spent youth. 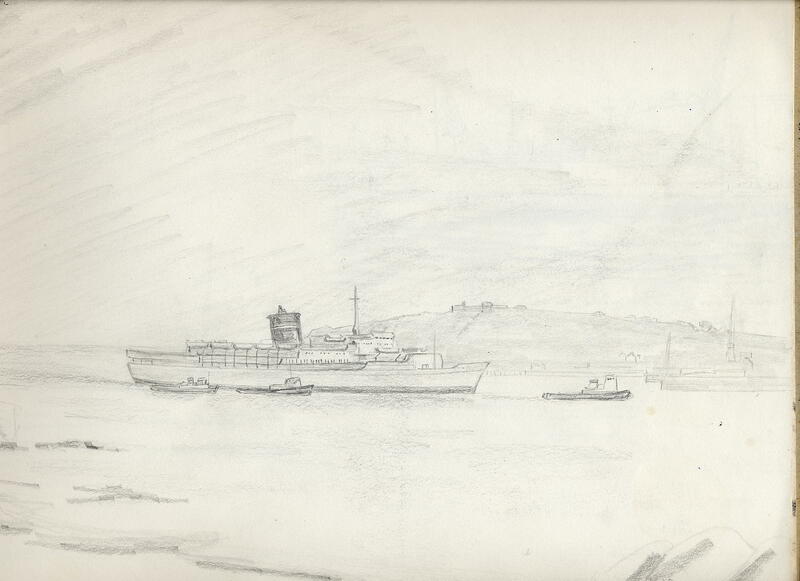 Here she is shown entering Falmouth after the Falklands War were she had served as a hospital ship. 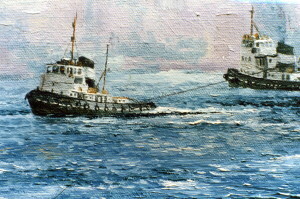 She is being maneuvered into the docks by the local tugs (in his press days Frickers sailed on these tugs several times). She was flying flag “G” so the artist showed that. 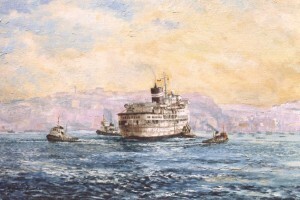 Years later the artist was phoned one evening by the owner of the painting who said a guest, a P & O captain and no less, was querying the flag as incorrect as it means “I require a pilot“. When assured that was what happened and the painting was correct, the reply came, back, Some body at P&O is going to get a Bo**ocking! 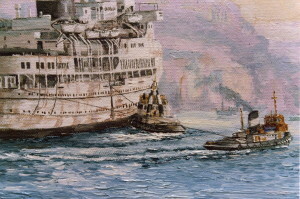 Later “Uganda” was laid up near King Harry’s Ferry. 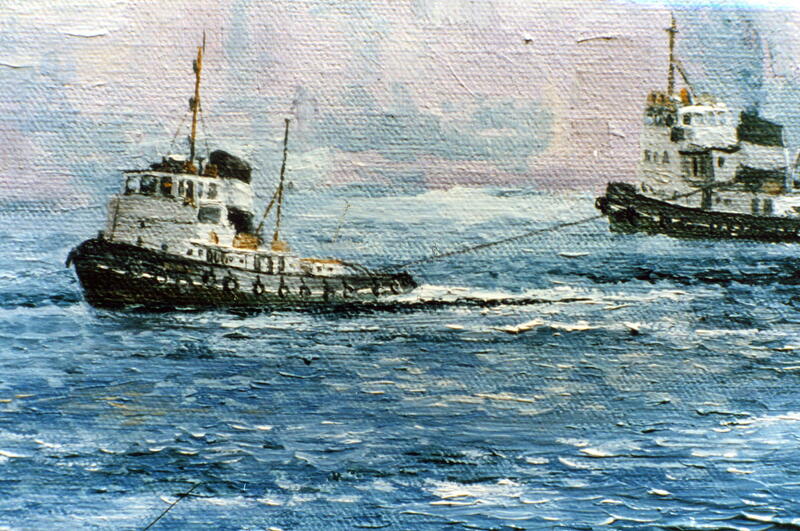 Eventually she was sold, re named ‘Triton‘ and sailed to a scrap yard. 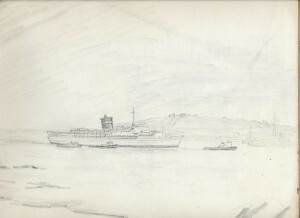 Painted after seeing Uganda at king harry’s Ferry Reach on the river Fal, from photographs provided by the World Ship Society, Falmouth Branch, and from location sketches of Falmouth harbour, a location the artist knows well. This is one of 2 paintings of this subject. 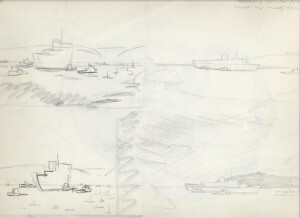 See the BI web site or the P&O archives for more information.